How to make Ramen Eggs – gooey, soft, almost runny egg yolks, ramen eggs are the best. Learn the secret techniques. 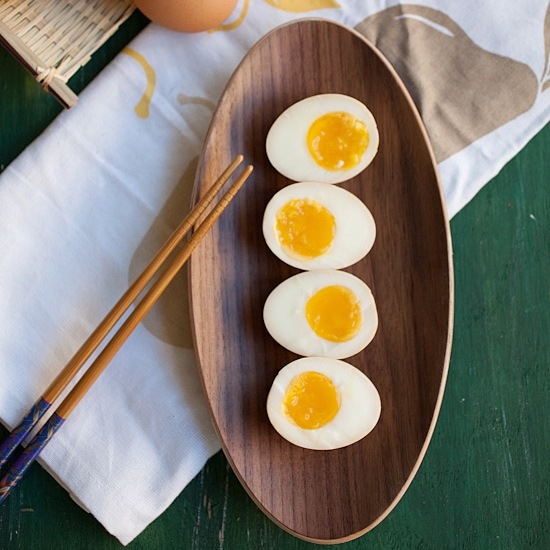 Japanese ramen eggs…you know those perfectly boiled and marinated eggs with nicely set egg white but gooey, soft egg yolk that is so creamy and silky that you just can’t get enough? Yes, they are what I call ramen eggs, because only with Japanese ramen, we can get boiled eggs so refined and so utterly delicious. I love ramen eggs or ajitsuke tamago in Japanese (means “flavored eggs”). In Chinese, they are called 溏心蛋. I will be honest, this ramen eggs are quite challenging to make to the desired texture and doneness. Timing is everything, and you have to be very precise when it comes to the cooking time. The cooking time also depends on the temperature of the eggs, whether they are straight out of the fridge or at room temperature. For my case, I tested a couple of times with this ramen eggs recipe and I used room temperature eggs. Another challenging part of this recipe is the freshness of the eggs as the egg shells might be hard to peel and hence you won’t have pretty eggs if the shells don’t come off easily. For that, I used baking soda while boiling the eggs to make the peeling easier. As simple as they look, they do take some time to make. After you boil the eggs, you marinate the egg in the soy sauce mixture overnight or best 24 hours so the eggs taste absolutely flavorful. So here is my Japanese ramen eggs recipe, so hopefully you will get to enjoy these delicious eggs at home too. If you like marinated eggs, you can also check out my Chinese Soy Sauce Braised Eggs. How to make Ramen Eggs - gooey, soft, almost runny egg yolks, ramen eggs are the best. Learn the secret techniques. Combine the water and baking soda in the pot and bring the water to boil. The water level must be deep enough to cover all eggs. When the water boils, add the eggs and cook for 7 minutes. In a separate pan add all the ingredients in Seasoning Sauce together. Bring the sauce the boil, then remove from the heat and let cool. When your eggs are done cooking, plunge them into ice water and leave to sit for 5 minutes. Carefully peel off the shells, while the eggs are still in the water. Make sure you remove the membrane covering the egg white. In a container or a bag, add the Seasoning Sauce and the eggs. Gently rotate the eggs to make sure they’re evenly covered in the sauce, then leave to stand overnight, or 1 or 2 days in the fridge. 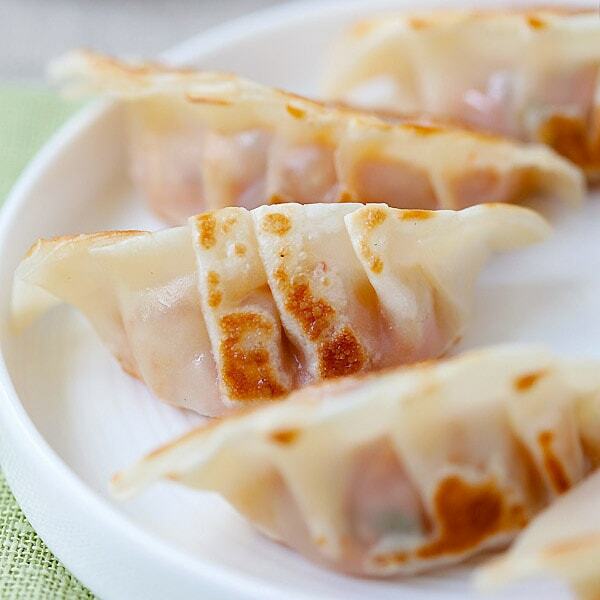 When they are ready to serve, slice into halves and serve with ramen or eat as a snack. I used room temperature eggs. The eggs are best after 2 days in the fridge. Baking soda helps with the peeling of the eggs so your ramen eggs will be pretty and nice! All photos and recipes on Rasa Malaysia are copyright protected. Please do not use the photos and recipes without prior written permission. 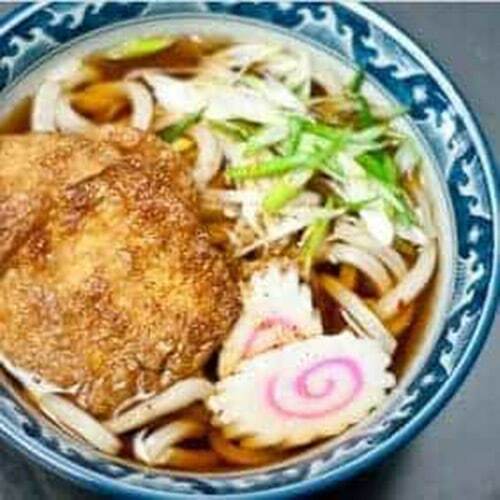 If you wish to republish this recipe, please rewrite the recipe in your own words instead of copy and paste and link back to //rasamalaysia.com/japanese-ramen-eggs/. Thank you very much! I’m excited to try these! I recently made the soy sauce braised eggs because they were the closest thing I could find to a recipe for eggs like I’d find in a ramen shop. After moving to Kansas from New York City, I’ve had trouble finding food like this in restaurants, so I’ve relied on your site and similar ones to make the recipes myself! Thanks for sharing, I wonder 7 mins of cooking the eggs will it become hard boiled eggs as we often cook our eggs for 5 mins over the gas stove and stand for 5 mins. Hard boiled eggs is ready to use. You can make them into smoked eggs instead dropping them into your sauce or Chinese stew sauce over night in the fridge. No, exactly 7 minutes (room temperature eggs) and this is what I got…as pictured in my photos. I buy jumbo eggs(cheaper) poke a hole in the air sac end, and full boil for 120 seconds and let sit for 15 min in the hot water. In addition I never use eggs fresher than 7 days from the store ( makes them peal without damaging the white). I don’t know anybody that has chickens, or even anybody that knows anybody that has them, so the store is my go to. How can our times be so different? I don’t doubt your times, but we must have some reason for the disparity. After 7 minutes I get the sulfur ring. Well it really matters not, just means there are many ways to get a perfect egg, I suppose. I enjoy your contributions to my cuisine. Keep it up! One possible explanation could be that you may live at different heights above sea level. Due to decreasing atmospheric pressure water boils at a lower temperature higher up, so eggs take longer to cook. I live in Switzerland, and whenever we wanted to make soft boiled eggs during our skiing holidays in the mountains (around 1000 metres higher than my home town), we would have to let them boil about 2 minutes longer to get to the same result. This is the kind of recipe that works really great in a sous vide. There are homemade sous vide setups … mostly all it needs is a good thermostat. They sell accurate thermostats for keeping reptiles or for bucket heaters. But, I bought a sous vide, and it is a very nice piece of kitchen equipment (mine is a Sous Vide Supreme, but there are other brands). Anyway, for silky eggs, you just put the eggs in a bag (and there can be water in the bag) and toss it into the Sous Vide at the desired temperature. The amount of time doesn’t matter so much. I’ve never heard of this recipe though, so now I’ll have to try it! I spent a semester studying in China and fell in love with tea eggs! From what I can tell they are hard-boiled eggs that are soaked in maybe salted tea? They are one of my favorites! Are you familiar with these eggs? 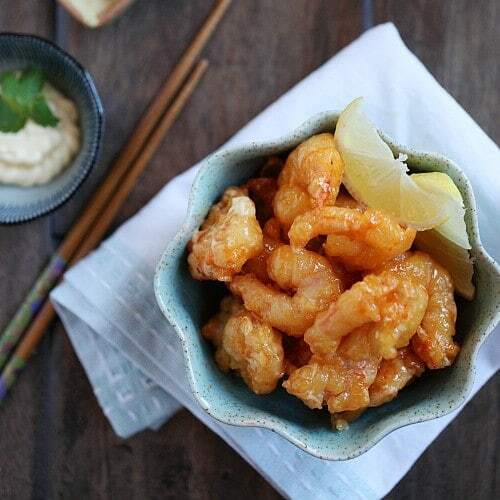 Do you know how to make them? I would be so excited to have the recipe! i love these and i’d love to try making my own! I’m a little confused. Aren’t cooking sake and Mirin basically the same? Sake is not the same as mirin. Mirin is sweet cooking wine made from glutinous rice while sake is made from rice, or rice wine. I thought you can make mirin with a ratio of sake and sugar. I think it was 3:1 but would have to look it up to verify. I do use a non-alcoholic one, same brand, if on sale. What egg sizes do you use for this recipe? If I am not mistaken, different sizes will yield different results under the same cooking conditions. Please advise. Yes, correct. My eggs are from the US stores…large. I make my own soup stocks but you use a lot of bottled concentrates. Is there a way that I can make this with out the soup base concentrate? I really want to try this for ramen and possibly bento boxes as a change from regular boiled eggs. Of course you can make all your stuff from scratch. Thanks for the recipe. It worked like a dream. The eggs did look pretty and were easy to peel when I added the baking soda to the boiling water. Ramen eggs as they did not have a soy coating, indeed, it seemed no extra coating at all. Have you any idea of how they were achieved? I would love to have a recipe. This recipe is so simple and so incredibly healthy. I love the meal prepping idea, to cook once and have a delicious breakfast. Yum! Where can I find Sake? Is it the same one to be found in the liquor store? I notice it says cooking Sake, but when I Googled, the results are showing me mirin. You can find at Japanese stores or Asian stores, it’s labeled as cooking sake. Not the same in the liquor store. Mirin is sweet cooking wine, cooking sake is not sweet.